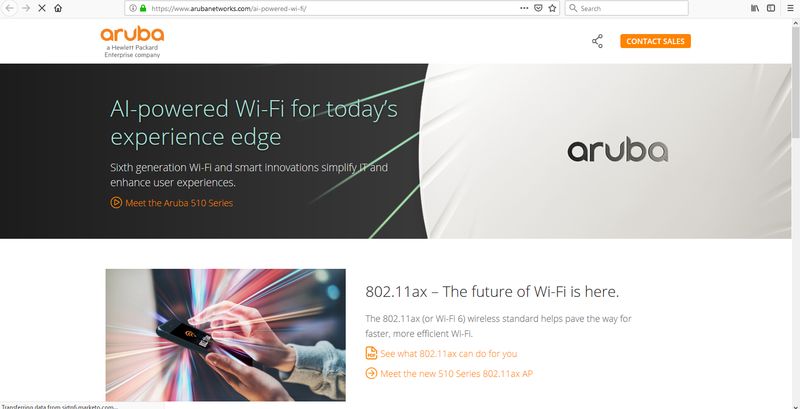 Aruba, a Hewlett Packard Enterprise company (NYSE: HPE), today announced a new family of 802.11ax (Wi-Fi 6) IoT-ready wireless access points and complementary access switches, along with innovations in security, intelligent power management, and Artificial Intelligence (AI)-powered automation and service assurance, to deliver the performance, simplicity and reliability that organizations need to give users exceptional digital experiences. The new wireless access points support the latest Wi-Fi standard and are the first to be Wi-Fi Alliance (WFA) certified for the new WPA3 and Enhanced Open security standards to provide stronger encryption and simpler IoT security configuration. Support for Wi-Fi Alliance WPA3 and Enhanced Open Security Standards to deliver state-of-the-art device security.